It’s the FINAL week of Spring 1 Session! Spring 2 begins on April 29th. Do you offer make up lessons? While they are not guaranteed, 1 make up class is allowed per student for the 2019 Spring 1 session. Currently, our make up classes are Friday afternoons/evenings before open swim and Saturdays before open swim. It is First Come, First Serve so please either call or stop by the front desk as soon as you know you are going to miss a class, so we can get you scheduled right away. #262-512-7946. Please note, we do not schedule makeups over email. What if my child is not in the right class? First and foremost, if you ever have any questions or concerns about your child’s current swim class, please do not hesitate to talk to us at the front desk area or give us a call. It is important to us that you feel comfortable sharing your thoughts with us. Parent feedback can often be the missing link to move a new swimmer forward in our program. 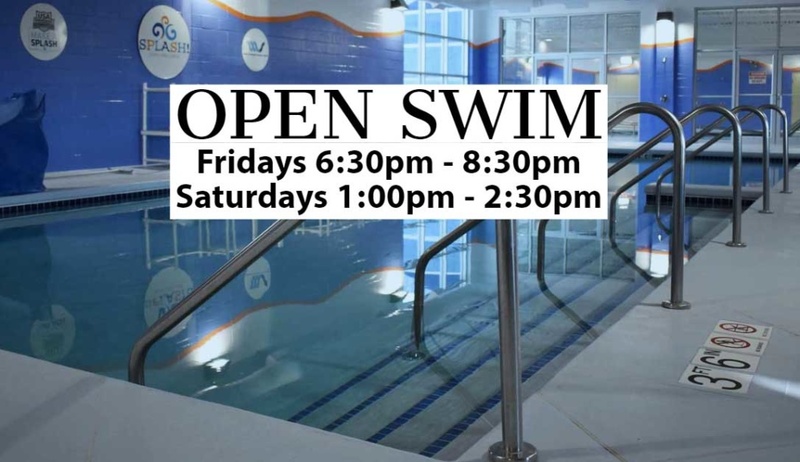 What is OPEN SWIM and what time is it available? Open swim is an opportunity for you and your immediate family to swim together during our designated time. Our 2019 Spring 1 session open swim is currently held on Fridays 6:30pm – 8:30pm and Saturdays 1:00pm-2:30pm. It is free during the session you are registered (current clients). 1. Parent must be in the water with children ages 14 and under. 2. No mermaid tails or flotation devices not Coast Guard approved. 3. Children who are not potty trained must wear re-usable swim diapers. It is also open to the community at a per person & per family rate ($20/family or $5 per individual). Special Announcement: We are offering an extra open swim!We will be having family open swim (in our new 2nd pool) on Friday May 24th (2019). It will run from 9:30am-11am. It is free for our current clients, but also available to the public – so please invite your friends to try out Splash! The open swim cost for the public is $20 per family or $5 per individual. Our weekly Friday 6:30pm-8:30pm & Saturday 1pm-2:30pm for our current swim families will take place as usual. Please let us know if you have any questions @ #262-512-7946. We hope to see you! And thank you to all our swim families who are able to share this open swim with friends! What is your refer a friend program? We want to say thank you to our clients that are kind enough to refer a friend. Referrals mean the world to us and we can’t thank you enough. For every friend you refer that registers you receive a gift card to Splash! that you can use towards any future services including swim lessons, birthday parties, and wellness fitness classes. What skills do you suggest to practice when were not at swim lessons? That depends on what skills your child is working on at the moment. We encourage you to swim as a family whenever you get a chance! We love helping with ideas to practice when you’re not at swim lessons so please don’t hesitate to ask us at any time. Skills can range from breath holding in the bath tub to practicing streamlining and starts from the wall. Your instructor, deck supervisor, and office assistants will be able to help with ideas by assessing what skills would benefit your child most. Do you offer multiple child discounts on session fees? Yes! Your second child receives 10% off their session fee, your third child receives 20% off their session fee, and your 4th child receives 30% off their session fee. All discounts will be applied at registration. Please call for pricing @ #262-512-7946. Thank you! In addition to the session fee, we also have an annual registration fee of per student. Please call for pricing. We do have multiple child discounts for our annual registration fees. We have a 48 hour refund policy for the session fee. After 48 hours, we do not refund the session fee, but we can move you to a different spot in the schedule as long as there is space. Our annual registration fee (which is different from the session fee) is non-refundable once paid. If an unforeseen family/medical emergency takes place, we take this on a case by case basis, and do give session refunds or credit in situations like these. Thank you! Swim diapers are required for children who are not yet or newly potty trained. To keep our pool clean and safe from occurrences, we require re-usable swim diapers because they work better in our pool. We do sell reusable diapers at the front desk, and they come in multiple colors. Otherwise, you should be able to find reusable swim diapers at places like Walmart, Target, etc. Do you offer water safety talks? Yes, we love promoting water safety and we want to share it with the community. Please let us know if you would like us to come visit your school, daycare or mom’s/play group to educate on water safety. Do you offer a time for field trips? Yes, field trips are so much fun at Splash! Swim and Wellness. We want to reach out to schools, daycares, mom’s/play groups you name it! We offer open swim during the day so the children can swim rain or shine in our 90 degree water. We also offer options for water safety talks and exercises in addition to the open swim. Please contact us for more information! Our daycare has transportation. Can we bring a group for lessons? Yes, and we even offer special pricing and scheduling. We would love to partner with your business to offer your clients an extra experience that sets your daycare apart from the rest. What are your Office/Phone Hours? We are available on the phones at the front desk (or will be checking voice mail) during the above noted hours. Please note, at times our facility will be open earlier or later for certain swim classes, adult programs, private lessons, or birthday parties – but we can only answer phones (or check voice mail) at the above hours. How do you handle class cancellations? If we have a closing due to weather, unforeseen circumstances, etc. we will personally call and/or email everyone scheduled for class. We will post the closing on our social media/website as well. Please make sure we have your best phone number & best email. Do you host children’s birthday parties? "When my daughter entered Splash for the first time she was filled with fear. All the teachers at Splash came together to get my daughter in the pool. Ms. Shelby took the time to earn her trust and worked closely with her encouraging her to try new things. Ms. Shelby’s patience proved fruitful and my fearful swimmer can now swim the length of the pool! Thanks to Splash my daughter is comfortable in water and even better she got a big boost of confidence for overcoming her fear." "Honestly I cannot speak highly enough of Splash. We have not had one bad experience there and we will be back for spring classes. This has been a great investment for our daughters and I’m so happy we found you. Wow! Our 4 year-old is swimming thanks to Ms. Michelle! Michelle is an excellent teacher. She has built a strong relationship with our daughter and her patience with young children is amazing. She makes swim class fun and takes the time to get to know each student and how to work with them to get results. Michelle shares her love of water with her students and her attitude is contagious! Claire will miss Michelle so much this winter so hang on to her!! We couldn't be happier with the training our daughter has received!" "We love Splash and are so impressed with the staff! Miss Shelby is amazing! 8 weeks and our 3 1/2 year old was swimming on his own!" "Coach Kimberly has the patience of an angel and has turned non-swimmers into beginning competitive swimmers. Her tenacity and knowledge of the sport has made a great impact on our team. Thanks Coach Kimberly." "We absolutely LOVE Ms. Shelby! Our son Jackson started with her in the "Babies" class and now he's doing the "Mini" session. We feel so confident with Ms. Shelby. She makes the class fun and is very patient with all the kids. Not only is Ms. Shelby awesome, but so is the owner, Kimberly, and the staff. We are always greeted at the door and they always know our names! Having a winter birthday, we decided to have Jackson's party at Splash! Now that was an awesome day! Our friends and family had such a great time. We highly recommend Splash to everyone!" "We hosted our son's first Birthday Party on Oct. 4th at Splash! We would like to express our sincere thanks, and appreciation to the two lovely ladies that assisted us that day. They were efficient, professional and hardworking. They interacted with us and our guests, and provided a safe and friendly environment. Thank you once again. Our guests - and most importantly - our son had a great time." "I just wanted to tell you how grateful we are for the flexibility, patience and compassion that your staff showed us when our son was having difficulty at swim lessons. Tyler has been wonderful with our son and we are so happy that he is back in the water and doing well with his lessons!! Thanks so much." "Thank you so much. Dario has become such a great swimmer! We are so proud!!" "Dear friends at Splash, My son R. recently completed Level 1 grade school classes with Whitney. We are thrilled with her instruction and the results! R. immediately was able to swim underwater and wear goggles consistently for the first time. Whitney is fantastic and she challenged him with positive energy during every lesson. We can't wait to start Level 2 classes in January 2017. Thank you Whitney and Splash team!" 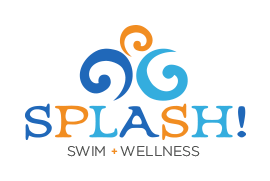 © 2019 Splash Mequon Swim Lessons, Wellness, Competitive Swim. All Rights Reserved.